Thanks to Exisle Publishing here is your chance to win one of 5 x Spirit Books valued at $29.99, each. 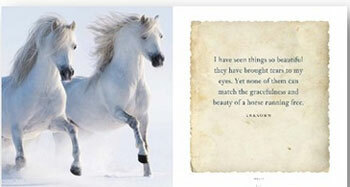 Gorgeous photography and memorable quotes combine to create the ultimate gift for horse lovers. Horses are the epitome of grace, power, and freedom. They also have an ability to touch our souls and connect with our hearts in a way that few other animals can. Inextricably part of Australian myths and legends, from The Man From Snowy River to the Silver Brumby, horses have long held a special place in Australian hearts. From a little girl's first pony to a gnarled stockman's last Quarter horse, they can offer us some of our deepest friendships and inspire us to be the best version of ourselves. 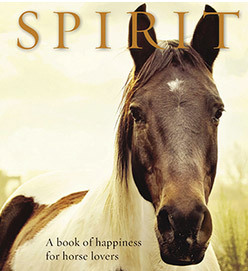 Spirit: A book of happiness for horse lovers is a compendium of enduring quotes that capture the essence of our affection for these magnificent animals. Some are by famous people (Winston Churchill, Nathaniel Hawthorne, William Faulkner, Dale Carnegie, Ralph Waldo Emerson), others not; some are philosophical, others light-hearted " all are memorable. Accompanied by beautiful photography, and presented in a high-quality gift format, this is a collection of quotes to treasure. Spirit will appeal, not only to the owners of the 450,000 horses in Australia, but all those who dream of owning one as well. Anouska Jones is a book editor, publisher, reviewer and author, who has worked in publishing for over twenty years. She and her family live on a rural property with three horses, two dogs, one budgie and five chickens.